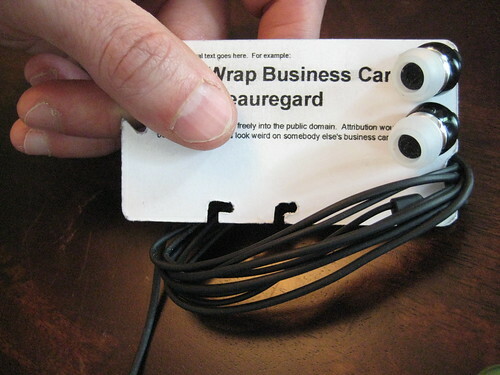 I’ve really been saturating the blog with ear-bud wrap posts lately. This should be the last one for a while. 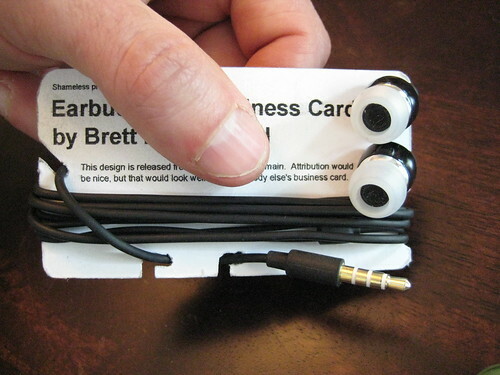 I decided to order some laser-cut copies of the earbud-wrap business card. 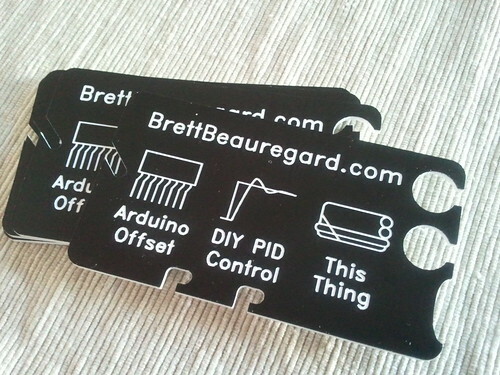 They were a bit expensive, but I’ve been wanting to laser-cut something for some time. I went with 2-color acrylic, and I think they turned out really well. 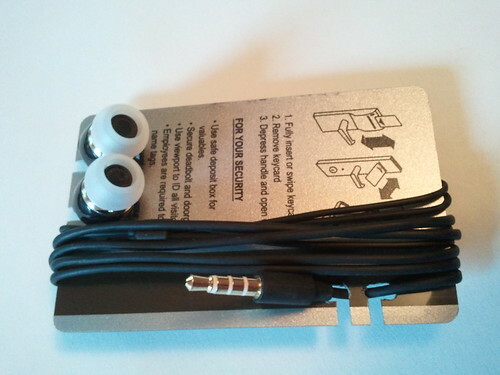 I made one last (for now) modification to my Credit Card Earbud Holder. The wrap now ends with an over-pass that really locks everything in place. 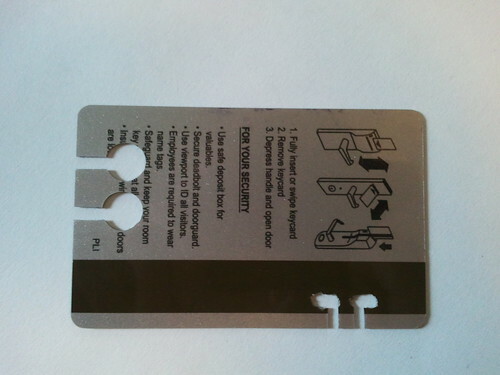 As before, it’s insanely easy to remove the wrap. UPDATE: I got some of these laser cut. They look amazing. 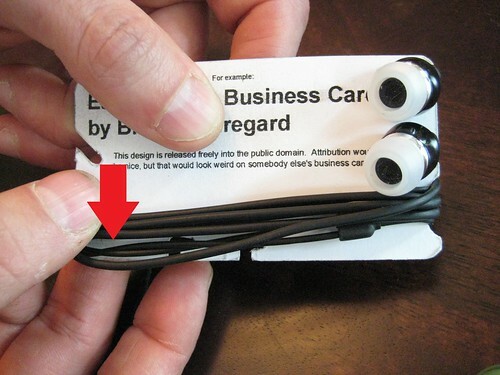 Yesterday on Lifehacker they posted a forehead-smack idea. 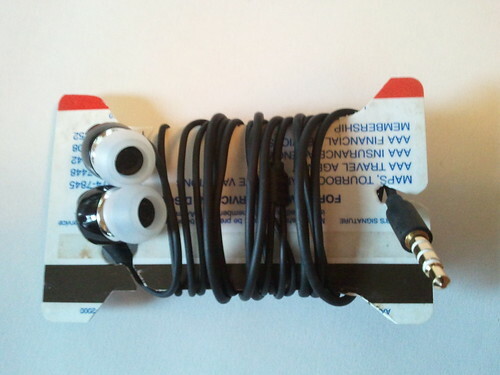 Take a credit card, cut it up a bit. 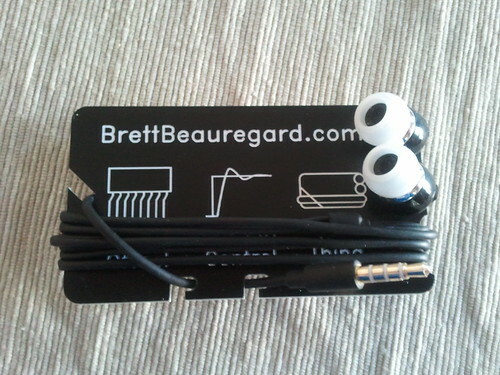 You’re left with a free, light, earbud holder. I’ve got a bunch of old cards lying around, so I made one. Because the wrap isn’t in channels, it slides right off once the plug is detached. WAY faster. UPDATE: I went through a few more iterations and came up with an improved design.